IMMA WINNER!! Contest winners announced! UC: Remember last week when we announced that we’d be hosting a contest for our readers with awesome prizes from Bella Bejeweled? Moon: Totes, I almost entered under my pseudonym: TheButtcrackisDown cause I wanted to be just like Alice and Bella and wear jewelery like theirs, but I figured you’d know it was me when that email came through. And I don’t lie so well- my non-poker face gives it away. UC: Yea, you never did know how to make a kitty meow, but you love those little bottles. Moon: *grabs the mic keyboard out of UC’s hand* Hey, Sorry I gotta interrupt here! UC you’re a great blogger and winner announcer and all and imma let you finish but our readers are the best in the whole blogosphere and we need to reveal the winners right now! 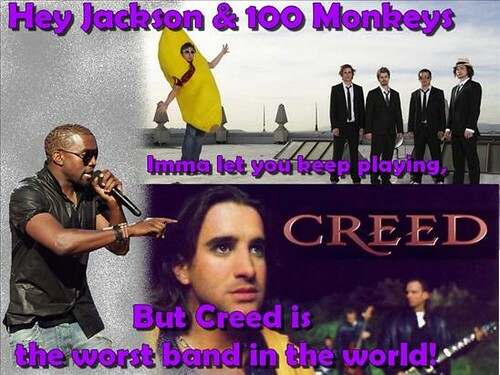 You slayed us with your use of the 100 Monkeys and the worst band in the world: Creed! You deserve a medal for bravery in laughs and some earplugs! 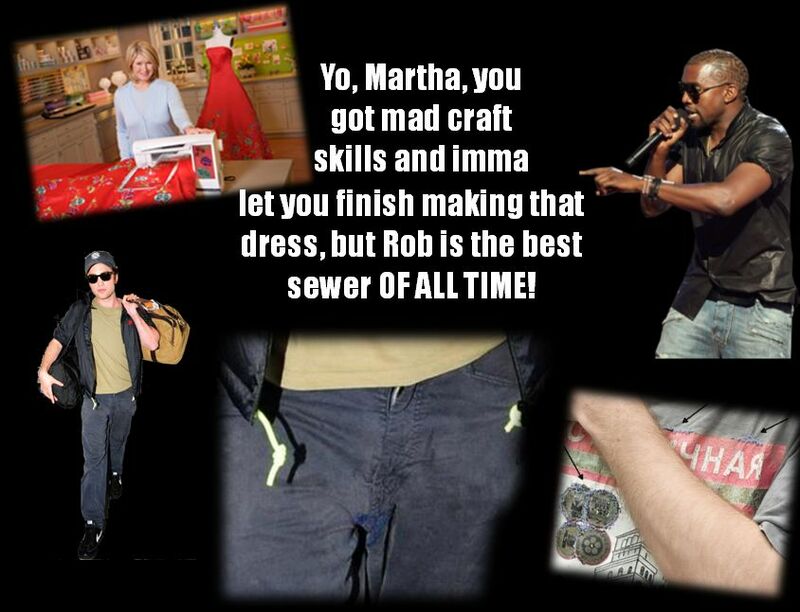 You interrupted Martha Stewart to let her know she had nothing on Rob’s sewing skills. I mean after all he did resurrect both the old stoli shirt AND those heinous pants with probably nothing more than a hotel sewing kit. He should get a girlscout badge or something! Congratulations Chelsea and Beth you gals are the winners of some beautiful jewelry courtesy of Bella Bejeweled! So in lieu of a full recap (which I will do tomorrow) I’ll leave you with a little teaser and say how much the LTT/LTR Comic Con constituency appreciated your support, your news and your enthusiasm. We had a blast and wish we could have shared it with ALL OF YOU! So friends I’m off and I will be back very soon to give you the full scoop… until then don’t miss out on what we learned about Rob during Comic Con at Letters to Rob! Discuss it all over at the forum! 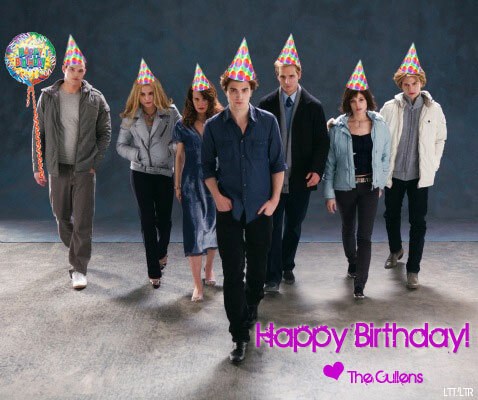 Happy Birthday UC, Love the Cullens and the rest of the gang! 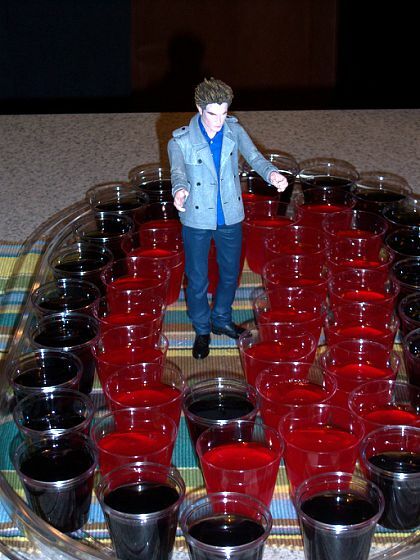 These blogs are usually meant as a place for us to write letters to Twilight and Rob but since it’s you’re birthday and I’m going to hell, I’m breaking ALL the rules! See, I can’t even get through an opening line without quoting this blasted series/movie, can you believe what it’s done to us?! I can’t! But what I can believe is it’s your BIRTHDAY!!! And you’re 21! Forever 21, ya’ll. Ok, maybe not 21 but a lady never reveals such secrets. I’m struggling right now to straddle the line between bringing the funny and gushing uncontrollably about how much I love you. In a fake lesbian, life partners, blog partners kind of way, OF COURSE. I can’t image a better person to run a blog empire with! Whenever I’m feeling particularly uncreative I know I can ‘break it down’ with you and I’ll come up with the best post ever. It’s like we always say “we’re better together” cause no one can help bring out the funny like you. You are the yin to my yang, the Bella to my Edward, the Sage to my Dills. Please always be my life partner! PS The Cullens sent me this rad picture and birthday poem they wrote* just for you! but you my dear, are his only cure! and know that us Cullens all love you ! *major thanks to the lovely Kristin for helping a writers blocked Moon with this awesome poem! ** we debated if it was 107 or 108 so uh someone set us straight! 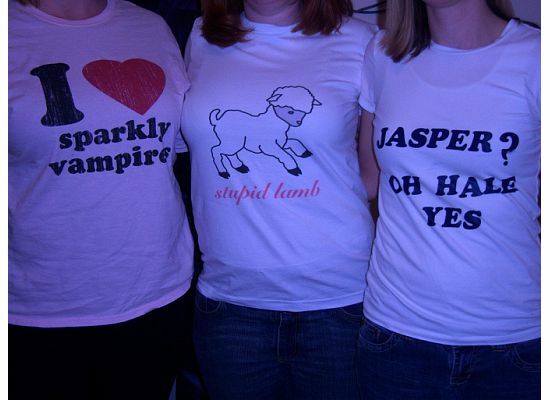 This is the story of how to be a well-rounded Twilight fan. It IS possible that your husbands, significant others, moms, dad, kids, etc. can be “proud” of you, despite your obsessing over “just a book about Vampires” (who has had someone in their life refer to it as that before? I have, I have!) Moon & I, through reading your letters and amazing emails, have discovered the key to maintaining a healthy, balanced life, while never really leaving the Twilight world. This song, Push, is based on New Moon from Bella’s perspective. I created it really as a gift for Stephanie – to thank her for Twilight and all our characters she has really inspired me both personally and as a song writer. Go ahead, listen! And let Brodie-Ann know what you think in the comments! Click the image to listen to the music! 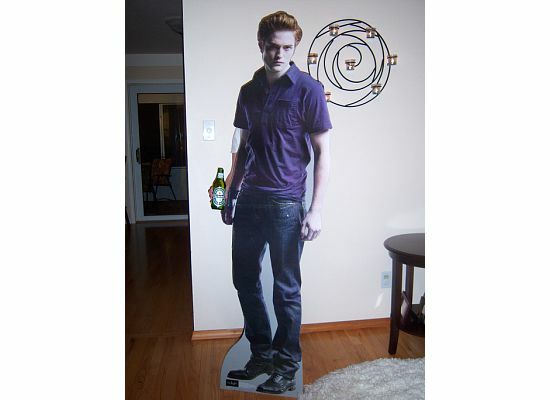 Remember RhoJo and her amazing friends who created the amazing Twilight Drinking Game for a DVD release party that included instructions like: take a drink every time Bella stumbles, falls or stutters? Well, she sent us pictures of the amazing party she threw for her and her friends. Read about how to be well-rounded in Film, Fun and Art after the jump!